The Mom of OZ: Milk gone bad? got some sour milk? Don't throw it out - USE IT!! Use it in all kinds of baking - how many times do you "make" sour milk or buttermilk - the old vinegar/lemon juice in fresh milk trick? When your milk starts to go - just bake something and don't let it go to waste. Remember in general expiration dates are not - "CAN'T EAT ANYMORE" dates. expiration dates are for quality purposes not safety purposes. Eggs last a LONG time in the fridge - Other countries don't even refrigerate their eggs, they are room temp on the aisle with bread. Don't be confined by your menu-planning. cook based on what you have on hand that needs to be used first. remember it won't kill you to overlook the expiration date once in a while. a 'sell-by' date is NOT an expiration date. 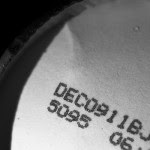 Excellent article on the subject - The Joy and Wisdom of eating past the expiration date.